This brutally gripping novel about the African-American Great Migration follows the three Moss brothers, who flee the rural South to work in industries up North. Delivered by day into the searing inferno of the steel mills, by night they encounter a world of surreal devastation, crowded with dogfighters, whores, cripples, strikers, and scabs. 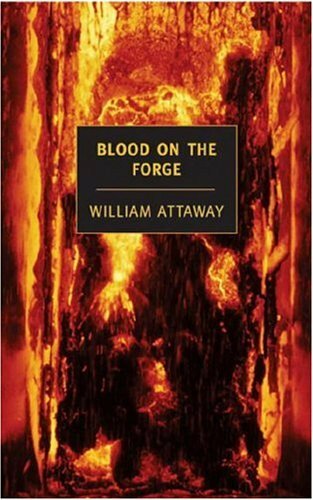 Keenly sensitive to character, prophetic in its depiction of environmental degradation and globalized labor, Attaway's novel is an unprecedneted confrontation with the realities of American life, offering an apocalyptic vision of the melting pot not as an icon of hope but as an instrument of destruction. Blood on the Forge was first published in 1941, when it attracted the admiring attention of Richard Wright and Ralph Ellison. It is an indispensable account of a major turning point in black history, as well as a triumph of individual style, charged with the concentrated power and poignance of the blues.